Arriving today was the eagerly anticipated iOS 4.2.1 update, along with previously-paid Apple’s device tracking, locking, and wiping tool called Find My iPhone. 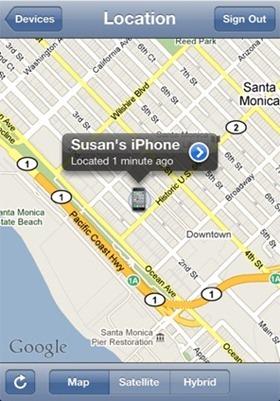 Find My iPhone is a tracking application by Apple, it runs on your iOS device and tracks the location of the device. If lost, you can login to MobileMe, see the location of the device, display a message on the device, play a sound, lock the device with a PIN and even completely wipe the data off the device. Before now this was only available on the iPhone 4, iPod touch (fourth generation), and the iPad. Follow this easy guide to get it working on any iOS device running iOS 4.2.1. To do this you must have, or borrow a friends “2010 iOS device”, either an iPhone 4, iPod touch (fourth generation), or an iPad. You have to create a free Find My iPhone account on either the iPhone 4, iPad, or iPod touch 4th generation running iOS 4.2.1. Once the account is created on a qualifying device, log in using your Apple ID and password to enable Find My iPhone on any iOS device running iOS 4.2.1. Step 1. Launch App Store on your iOS device and download Find My iPhone. Step 2. Then go to Settings > Mail, Contacts, Calendars > and add a MobileMe account. Login using your Apple ID, once connected turn on Find My iPhone. Step 3. 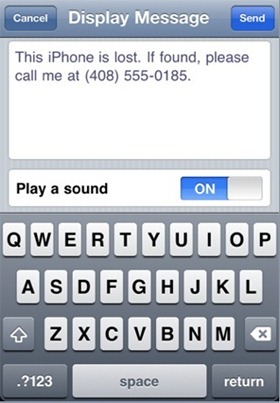 Launch Find My iPhone and log in with your Apple ID on your 2010 iOS device. Step 4. Now on your non-2010 device, log in with your Apple ID. Step 5. Once logged-in, head over to MobileMe login page by following this link to the Find My iPhone page. Even if you have borrowed your friends’ iOS device to create the account and then want to cancel the tracking on their device, you can delete your MobileMe account from their device and continue using Find My iPhone on yours. Having tested this out, its a very nice feature, good interface and best of all its free! Download iOS 4.2.1 for iPhone, iPad, iPod touch NOW ! 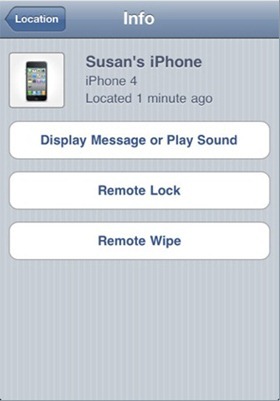 Apple to Release iOS 4.2.1 / 4.2 for iPhone, iPad, iPod touch Today with Free “Find My iPhone” Service !